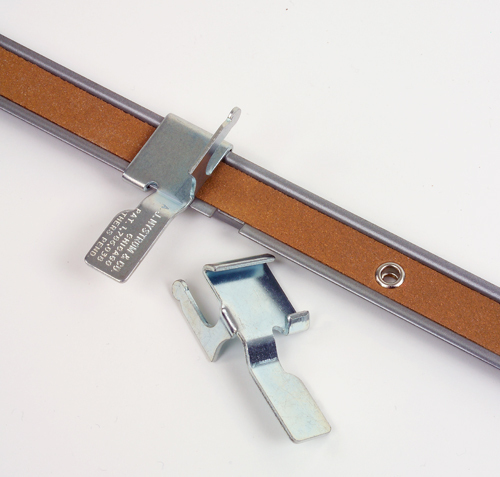 One-inch wide 18-gauge channel steel with tan cork; lower edge notched for hook insertions. Screw holes have counter-sunk metal collars (screws included). Six-foot lengths.